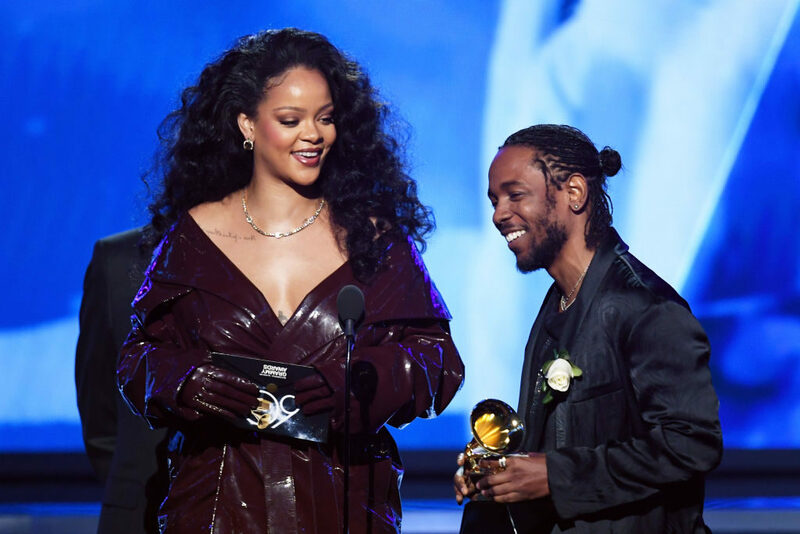 The stars were out in full force Sunday, Jan. 28, as Beyoncé, Lady Gaga, Rihanna, and more flocked to New York City’s Madison Square Garden for the 60th annual Grammy Awards. While many stars showed up dressed in their finest for music’s biggest night, some missed the memo and flopped hard among critics. Who slayed on the red carpet and who was a fashion fail? Who won big and who walked home empty-handed? Read on to find out everything you need to know about this year’s Grammys! The stars were out in full force Sunday, Jan. 28, as celebrities flocked to New York City’s Madison Square Garden for the 60th annual Grammy Awards. Like at the Golden Globes, many used the award ceremony to bring awareness to the Time’s Up movement, wearing a white rose as a symbol to keep the conversation going. While many stars showed up to music’s biggest night dressed in their finest, some seemingly missed the memo and flopped hard among fashion critics. Read on to see the best and worst dressed stars — as well as the who won big at this year’s Grammys! Lady Gaga made a statement entrance when she sashayed down the red carpet in black dress by Armani Privé. Wearing a full skirt with a lace catsuit underneath, the “Million Reasons” singer literally had to stop the show each time she took a photo. However, her dramatic gown didn’t stop eyes from landing on her ring finger, which was adorned with a pink diamond sparkler surrounded by smaller diamonds. Could this be the rumored engagement ring from boyfriend Christian Carino? It’s always hard to mix edgy and glam. Hailee Steinfeld may have missed the mark when pairing her an elegant, floor-length gown with a pair of purple thigh-high boots.